Growing up in Denver, Colorado music was always in The Garcia Brother’s blood. 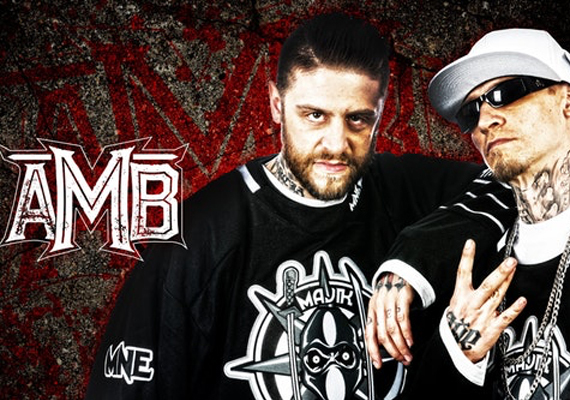 Young Wicked and Bonez Dubb would form the Axe Murder Boyz and begin their journey towards making AMB a staple in The Underground. The brother’s music style complements each other perfectly with Young Wicked also lending his hand as an established producer. Not only performing together as AMB both brothers are also talented solo artists, delivering their own unique style. In the furthest reaches of the void, an ancient evil has awakened. This demonic force has risen with one intent: to usher in an age of darkness. It’s craving for the end of all life has manifested itself in the form of three. This ghastly trinity walks the mortal realm as Billy Obey, Joe Black and Lee Carver. 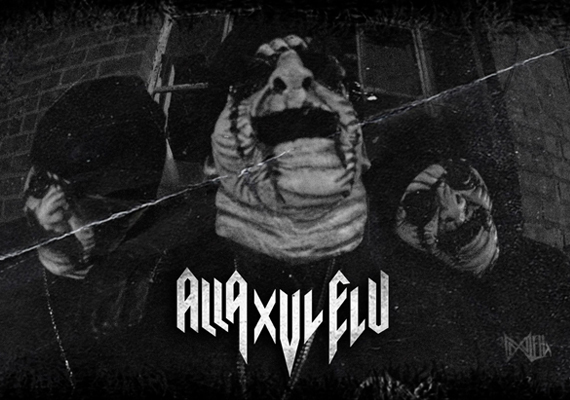 The Almighty Alla Xul Elu. Their hideous visage invokes terror into all mankind. Godless, malformed beasts who only speak in blasphemy. Their doctrine of wickedry and horror is spoken behind grotesque masks made of stitched together putrid flesh. The faces they carry with them beyond death. The Forever Face. The trinity walk about the land like a plague. The evil they rapidly spread is their pestilence. Coercing and manipulating humankind through strange audio recordings and cryptic preaching. Those who fall under their spell are ripped of their souls and consumed by pure evil. These most devout zealots of the church are known as Xuligans. Their numbers grow by the second. Infiltrating the underground and society, their mission is to spread the dark message of Xul at all cost. Scum has sold thousands of albums worldwide while representing a genre of music considered “dead” by most. He has traveled across the country, performing with numerous national rap and metal acts. Scum is known for mixing his extremely violent, horror-themed lyrics with a bouncy style of hip hop beats which is uncommon to horrorcore. His music is commonly referred to as GoreHop. Insane Poetry is an American hip hop group from Los Angeles, California. Formed in 1988, Insane Poetry is considered to be one of the first horrorcore groups with only one remaining member, Cyco. Representing the Wicked chapter of Respect The Underground are three artists known to terrorize the stage with unmatched brutality. Unrelenting. Unforgiving. 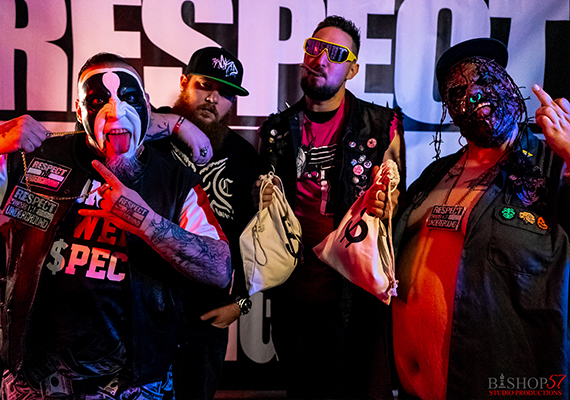 DieNasty, Chapter President of Respect The Wicked Underground. The Face Painted Al Pacino is poised to take you on a trip through his barrio. Mixing a West Coast gangster background with an appreciation for the Dark Side of things! The Mexican Thuggalo brings one of the most entertaining stage performances you will ever see and is guaranteed to have you putting your H's in the sky before the night is over! Tha Wikid One is a Horrorcore Virtuoso! Behind the camera or in front of the camera, his skills are deadly but his surgical precision in the booth is what truly sets him apart from the competition. He executes verbal dessecation. Jack The Ripper with a pad and pen. Henry Howard Holmes with a microphone. He is an underground ICON and one of the hardest working players in the game! Spooky Z has marked 2019 as the year of His return. After a self-induced hiatus that lasted nearly 6 years, the OG Leatherface of the Southwest has donned his signature mask and is ready to remind you all what the chainsaw sounds like again. What fear feels like again. 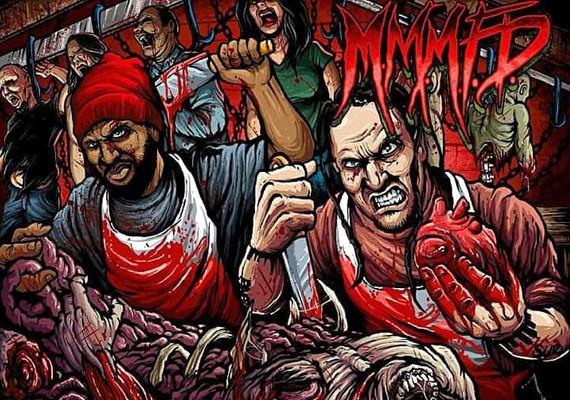 He is preparing a feast of gore and what better way to sharpen his knives than to grace the stage alongside his brothers in murder bringing back the energy that became his calling card. Respect The Wicked Underground gives you The Three from Hell!